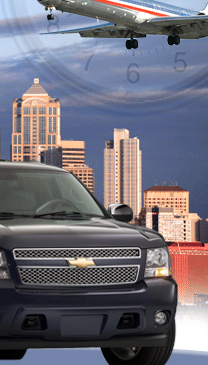 Chevrolet Suburban - large, sport utility vehicle, luxurious space without sacrificing style. Perfect for escorting a family or buisines groups to the airport. Lincoln Town Car - sedans offer luxury, elegant and comfort transportation, perfect for your corporate needs, business and pleasure travels, or special events.